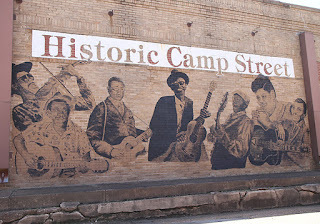 There's no shortage of Texas music legends. But some of them have flown under the radar despite the efforts of those who try to keep their music and their spirit alive. Such efforts to preserve the memory of a lesser known musical icon have manifested in memorials in at least two different cities. 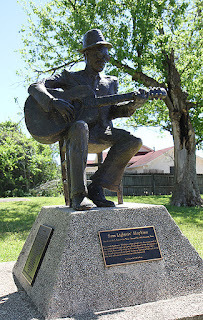 So today we're going to take a look at monuments dedicated to the late great blues musician Lightnin' Hopkins. While Hopkins was born in Centerville and was widely known for playing in Houston, it's the town of Crockett that wanted to honor him with a statue. 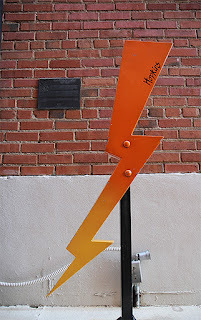 It sits across from the Camp Street Cafe, a local live music venue, and was erected in 2002. 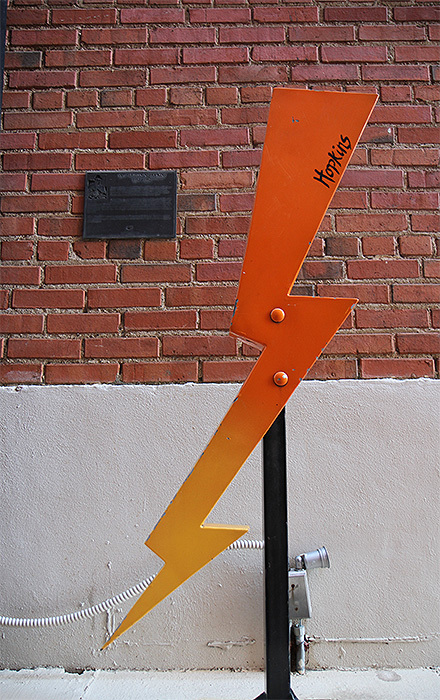 A more abstract monument can be found in Dallas along others honoring with fellow Texas music legends Buddy Holly, "Blind" Lemon Jefferson and others. 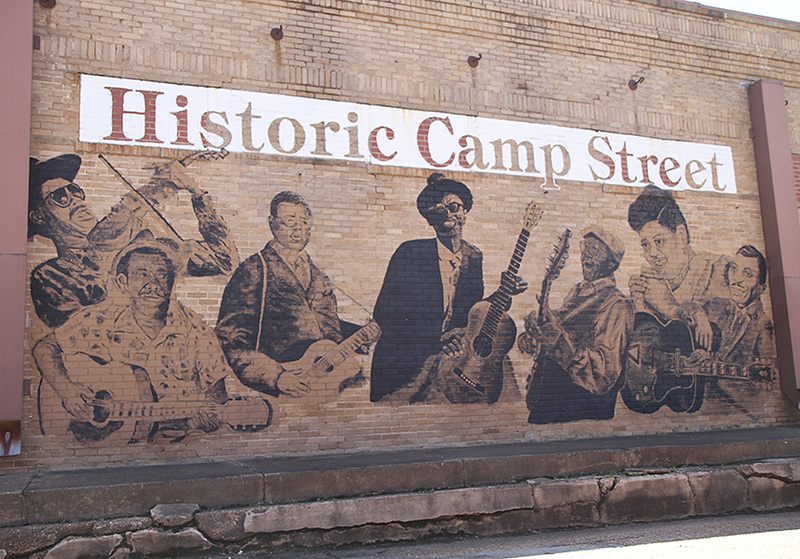 It's a part of the "Texas Music Alley" in the Dallas Alley of the once great (but now kind of dried up) West End.